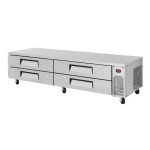 The Turbo Air TCBE-96SDR-N chef base accommodates 72 sixth-size pans in four refrigerated drawers. Ingredients stored there are held between 33 and 38 degrees Fahrenheit by a system that uses R-290 refrigerant; the refrigerated base's temperature can be monitored on a digital display mounted on the front. 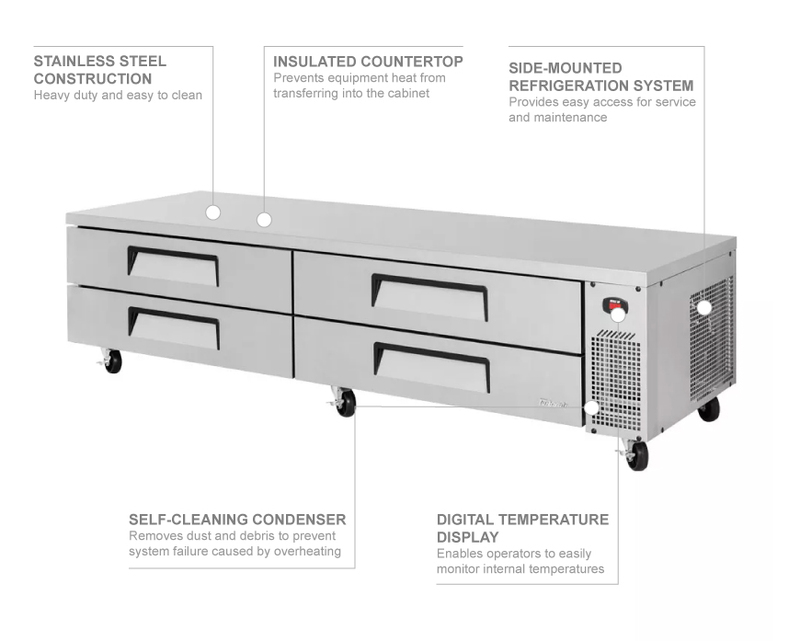 The self-contained refrigeration system is side mounted, so the compressor, self-cleaning condenser, and other components are accessible for service and maintenance. The self-cleaning condenser is designed to rid itself of dust multiple a day to prevent system failures caused by dust accumulation. The top can hold up to 1,435 pounds of equipment, and since it is insulated, heat from fryers, charbroilers, hot plates, and other countertop equipment will not transfer into the cabinet below. 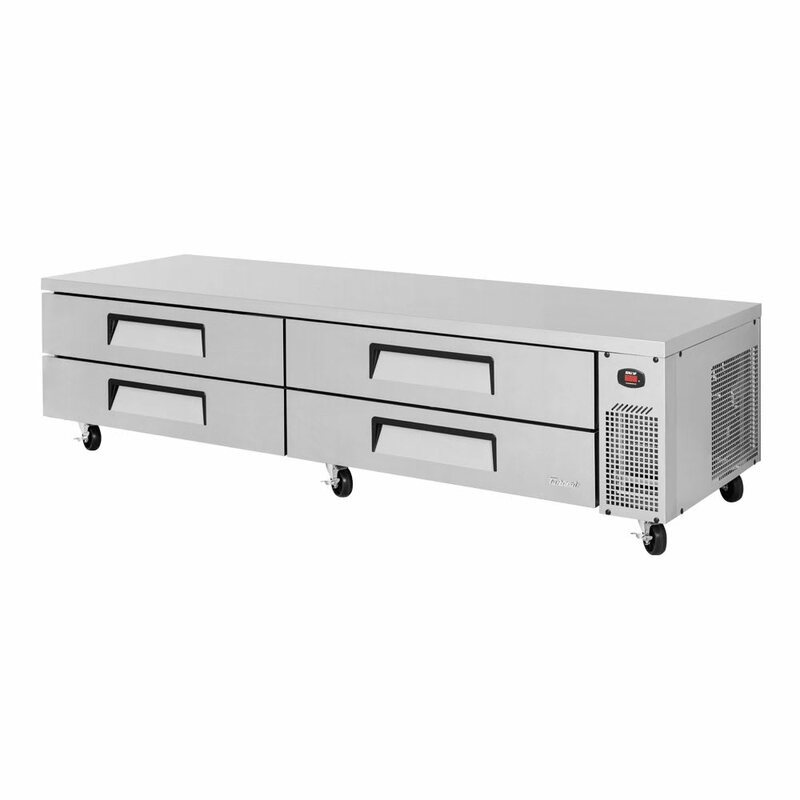 Because it is constructed of heavy-duty stainless steel, the Turbo Air TCBE-96SDR-N chef base is durable, corrosion resistant, and easy to clean. Moving the unit for cleanup and maintenance is simple since it is mounted on 5-inch casters.